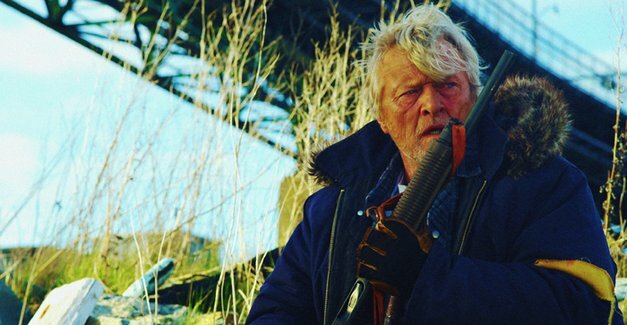 After such messes as The Perfect Storm, Troy, and Poseidon, it can be hard to remember that Wolfgang Petersen originally made a name for himself with this 1981 anti-war masterpiece. 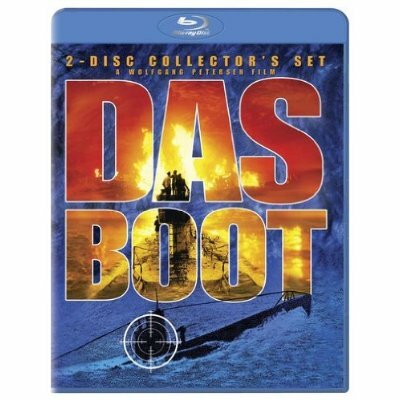 Chronicling the lives of a group of German soldiers aboard a U-Boat during World War II, Das Boot is without a doubt the most claustrophobic film I’ve seen. It takes place almost entirely aboard the U-Boat, redefining the term “close quarters.” The soldiers’ duties are alternately stressful and tedious, wearying the audience along with them; the boat’s walls begin to push in on you. The film is so exhaustingly suspenseful that maybe one can understand why Petersen never again approached its likes. The new Blu-ray Collector’s Set includes both the heavily trimmed 149-minute theatrical version and the restored 209-minute director’s cut. Extras also include commentary from Petersen and an assortment of featurettes. 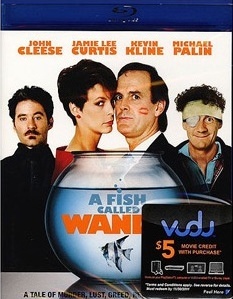 The first of two Walmart exclusive Blu-ray debuts in this week’s column is the classic 1988 comedy A Fish Called Wanda. The ins and outs of the plot are numerous, and it’s been a while since I’ve seen the movie, but here’s the gist: four thieves–two British, two American–go through with a successful jewel heist, only to double-cross, betray, and seduce one another in the aftermath. Jamie Lee Curtis, Kevin Kline, Michael Palin, and John Cleese (as the lawyer for Tom Georgeson’s head gangster) all share remarkable chemistry, not to mention impeccable comic timing. Cleese’s screenplay has no shortage of memorable lines, and the film proves a showcase for the oft-underused talents of Kevin Kline, in an Oscar-winning performance which involves dangling Cleese out a window and devilishly mocking Palin for his stutter. I would imagine that extras from previous releases carry over here, and as you can see from the smallish box art above, $5 of Vudu credit is included. Whatever the hell that means. I doubt there’s been a better modern romantic comedy, in the traditional sense, than When Harry Met Sally… You’ve got Billy Crystal as the smarmy Harry. You’ve got Meg Ryan as the adorably naive Sally. You’ve got gorgeous shots of New York, courtesy of cinematographer Barry Sonnenfeld (yet to embark on his lucrative directing career). You’ve got Nora Ephron’s witty, endlessly quotable screenplay. You’ve got Estelle Reiner giving one of the most famed one-liners in movie history. You’ve got Rob Reiner capping off a stellar decade behind the camera. And most importantly, you’ve got a romance that blossoms realistically from begrudging tolerance to full-blown passion over a span of 12 years. In showing us every stage of Harry and Sally’s courtship, through their acquaintance on a road trip to New York to their surprising friendship to their soulmate status, Ephron and Reiner give us one of the most fully-realized couples in romcom-dom. In 1989, a film with a tagline that asked, “Can two friends sleep together and still love each other in the morning?” turned heads. We’re still fascinated today. Being that this is the other Walmart exclusive, I’m guessing extras from other editions make their way here, plus more of that Vudu stuff. 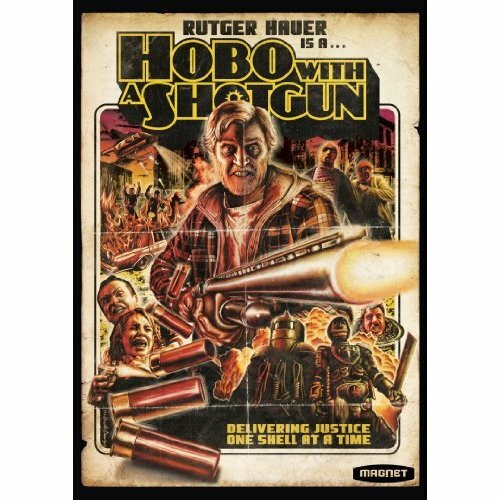 This entry was posted in On DVD & Blu-Ray and tagged a fish called wanda, barry sonnenfeld, billy crystal, blu-ray, das boot, david brunt, death proof, dvd, estelle reiner, film, germany, grindhouse, hobo with a shotgun, jamie lee curtis, jason eisener, john cleese, john davies, kevin kline, meg ryan, michael palin, movies, nora ephron, oscar, planet terror, poseidon, quentin tarantino, rob cotteril, rob reiner, robert rodriguez, romantic comedy, rutger hauer, the perfect storm, tom georgeson, troy, vudu, walmart, when harry met sally, wolfgang petersen, world war ii. Bookmark the permalink.